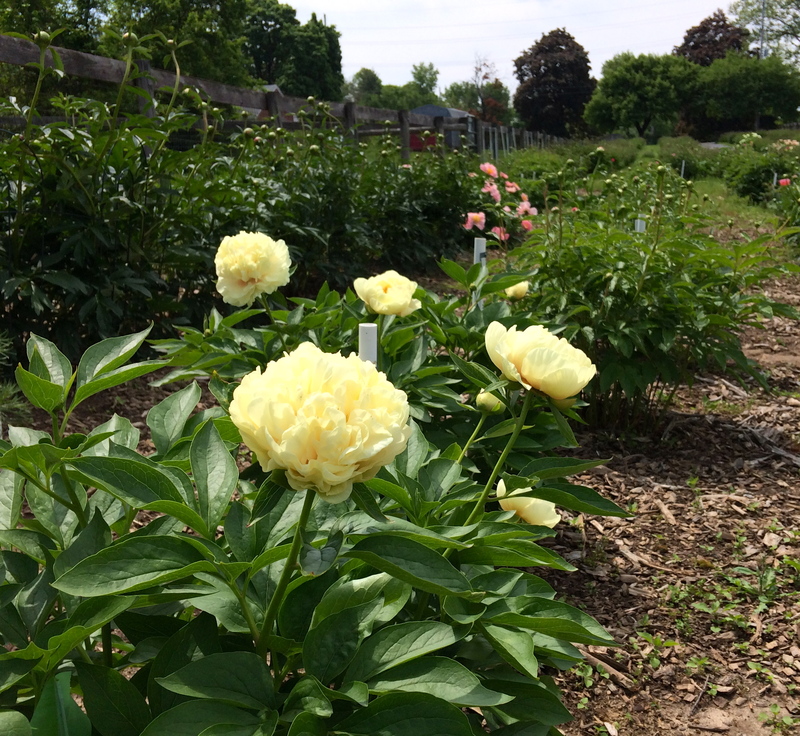 Wondering if the peonies are blooming at A Peony Garden yet? Almost. “I give it until next Thursday,” says garden maven and peony expert, Eleanor Tickner. (That’s May 29th, and I’m counting the days.) We met Eleanor two seasons ago while on the hunt for peonies as cut flowers, and succumbed to peony mania in the process. Read the BLOG POST describing all the details. Right now, there are many buds and a few blooms over at the garden in Glen Mills, and we were lucky enough to catch a glimpse! 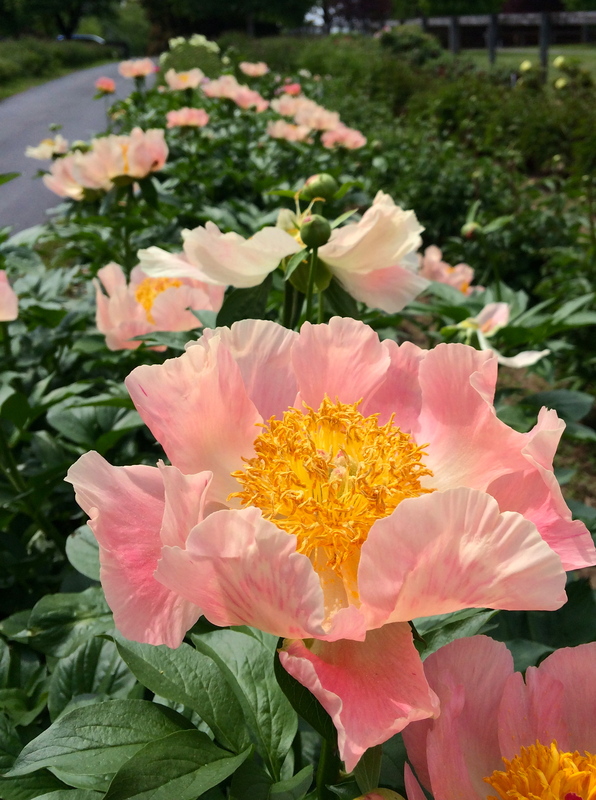 Meet ‘Sunny Boy,’ a peony within a peony and quite a rare find. ‘Raspberry Charm’ is so bright I have to wear shades. And of course, no visit would be complete without a greeting from our old pal, Riddler, who is still going strong. 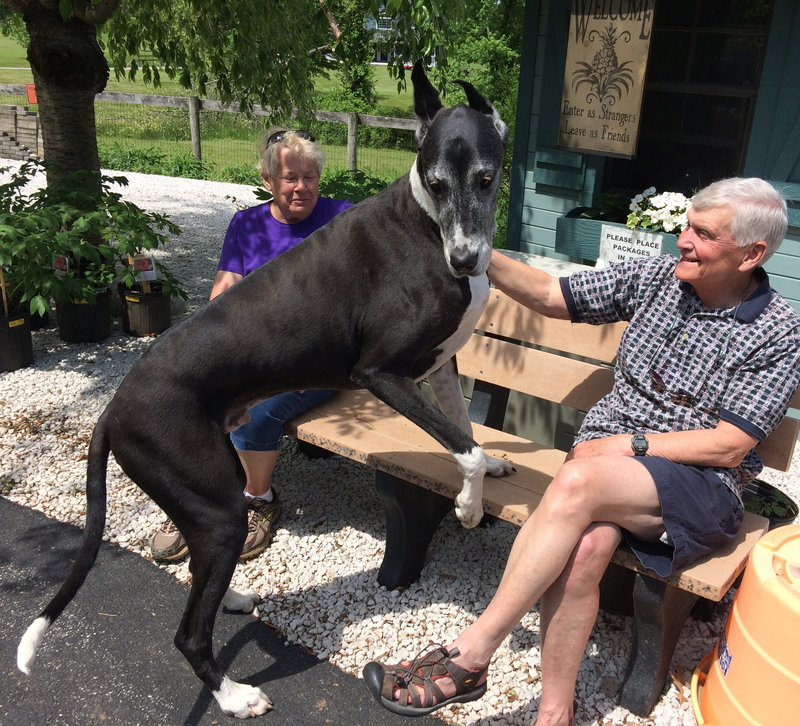 But don’t worry, his humans are very responsible with dog-shy visitors. “Enter as strangers, leave as friends.” Like the sign says. See you in a little over a week, Eleanor! Thanks for creating a little slice of heaven on earth for us to visit. A Peony Garden address: 1739 Middletown Rd. Glen Mills, PA 19342 – about 20 miles SW of Philadelphia. 4.6 miles NW of route 1 on 352. tel 610.358.1321 call ahead for large orders. Cut flowers offered as well as peonies in containers. A must visit for any peony lover! 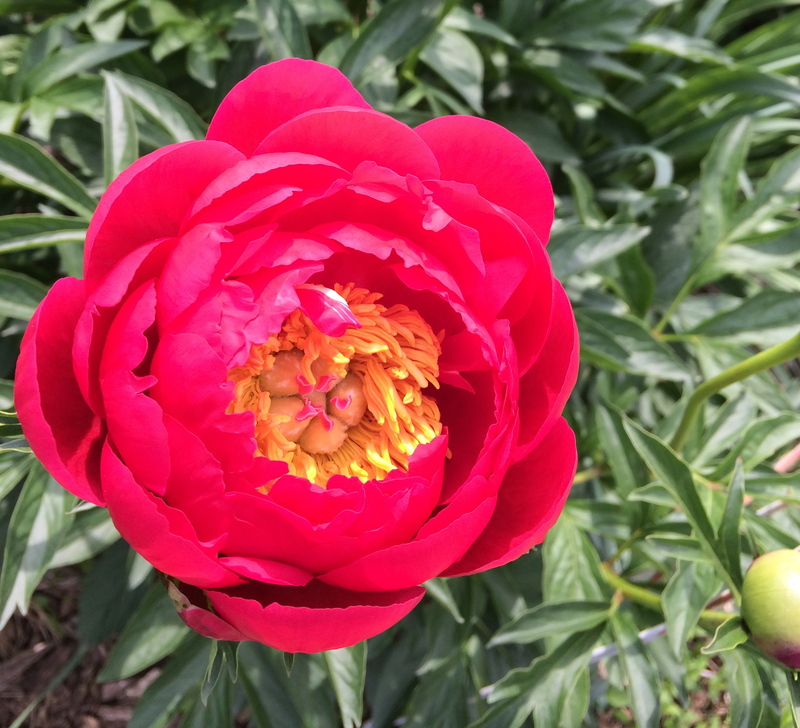 This entry was posted in Cutting Garden, Flowers, Gardening, Pennsylvania, Spring Blooms and tagged A Peony Garden, Eleanor Tickner, peonies, Raspberry Charm Peony, Sunny Boy Peony by Ann. Bookmark the permalink.